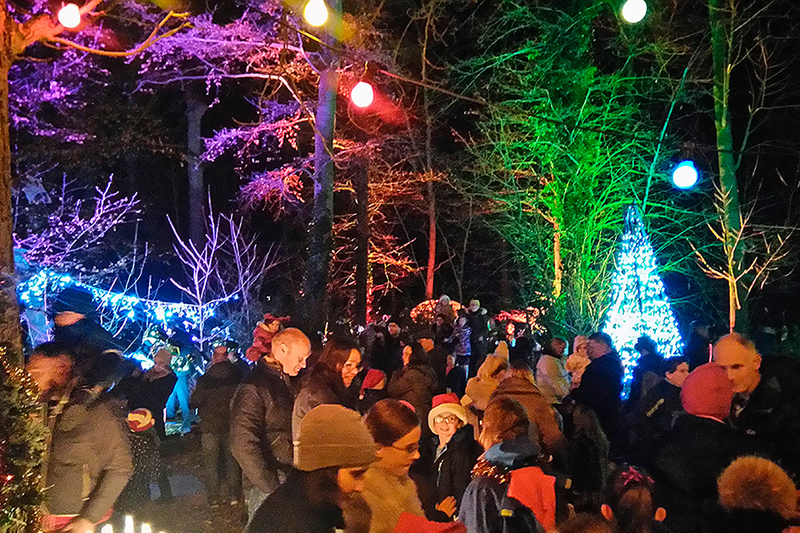 Pulsar were proud to support a local village community, who transformed a corner of the woods and an old railway hut into Santa’s Grotto, providing something to remember for all who attended. “It’s magical!” said a little girl (unprompted) as she gazed up at me with shining eyes and a happy smile. And indeed it was magical. The night was dry (and not too cold), as families and friends arrived from all directions to await Santa’s arrival, heralded by the switching on of the lights. 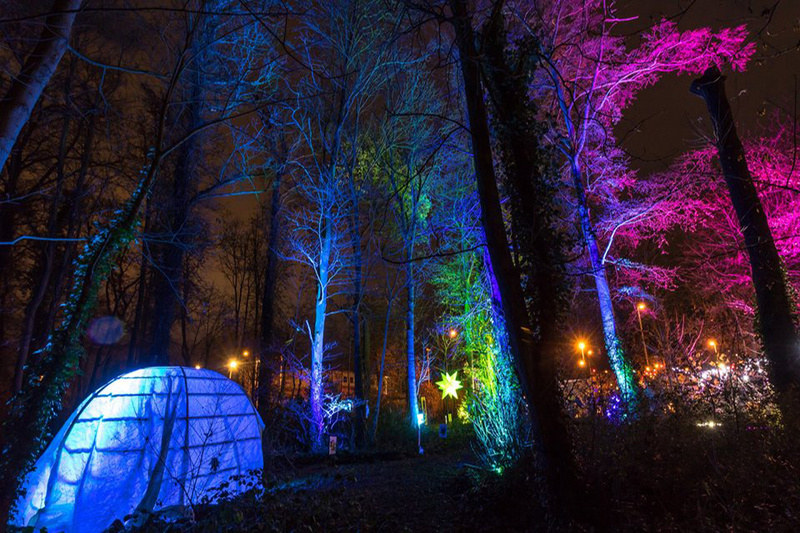 The Glow Trail stretched invitingly through the woodland. The Christmas Tree with its hundreds of twinkling bright white lights contrasted with a backdrop of trees in ever changing colours. Peace doves fluttered in the trees. Gifts on a stall glittered brightly in the lights. Log fires glowed in the darkness. And at the centre, Santa’s Grotto, lit with a warm. welcoming glow, while inside, beautiful Christmassy decorations decked the walls. A queue of excited children quickly formed to visit Santa, greeted by a splendid, wonderfully costumed elf. They emerged just as excitedly, happy and smiling, having met Santa, and received their gift from him. Lighting consisted of Pulsar’s ChromaPowerLine 100’s, ChromaBattenTC and ChromaBattenVW.